Piggybacking Coupons - Can I? I read emails constantly from bloggers/websites suggesting ways that shoppers pair Buy One Get One Free coupons (B1G1F) with additional manufacturers coupons to save even more money. Likewise, I frequently receive emails asking whether or not it is appropriate to follow this coupon "stacking" advice. After having been a serious couponer for the last 18 years I thought I'd share with you my philosophy on how to use B1G1F coupons correctly. Piggybacking/Stacking Coupons: "The combination and use of two or more coupons on the purchase of a singular product." First, one must note that only ONE manufacturers coupon may be used per product - read the fine print on almost every coupon in circulation and you'll find this restriction. After that, the concept is quite simple in my opinion. We've all had a piggyback ride as a child. Our fathers hoisted us onto their backs and jumped around the backyard thrilling our little hearts at one point or another. We, basically, stacked our body on top of his - 2 people, 1 equal ride? It's the same idea in this coupon strategy. Can you use 2 coupons to buy 1 product? Did both piggyback participants (say that 10 times fast) get the same ride? The answer in my opinion is no. 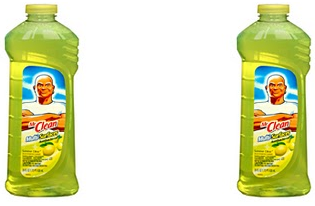 Imagine that I bought 2 bottles of Mr. Clean Liquid using a B1G1F coupon. Awesome right - that means one bottle is totally free! But, I also have an additional $1.00/1 Mr. Clean coupon that I want to use - can I? The theory here is that the B1G1F coupon is ONLY being used on the FREE bottle so shoppers should still be able to use a coupon on the first bottle. But, ask yourself this question "What am I required by the manufacturer to buy in order to use a B1G1F coupon?" The answer is two bottles - you could surely place only 1 bottle on the conveyor belt and not get a second bottle for free but what would be the point - the coupon would not be valid! In order to use a Buy One Get One Free coupon TWO products MUST be placed on the counter. 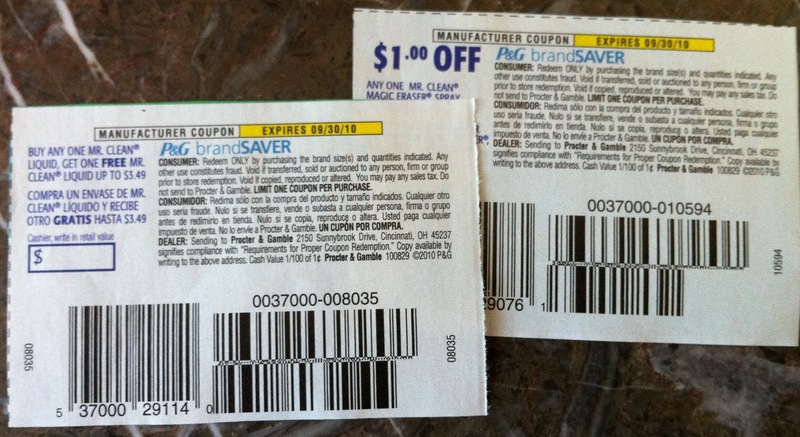 Two products are REQUIRED for the coupon to be valid and take effect. That means that the coupon has definitively been used on both products. Could you then piggyback or stack another $1.00/1 coupon on top of this transaction - no, as a manufacturers coupon has already been used on both items purchased and there is a strict limit of one manufacturers coupon per product. 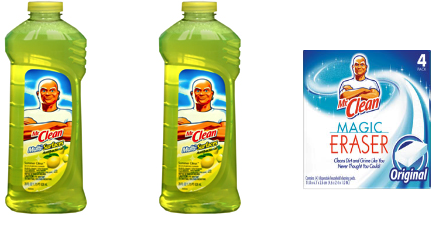 You would have to buy 3 bottles of Mr. Clean to use a B1G1F coupon and an additional $1.00 coupon in one transaction. Buy One Get One Get One? We're buying the same two bottles of Mr. Clean - except I have a Buy One Get One Free coupon and a Buy One Bottle and get a Magic Eraser FREE coupon. Could I buy one bottle and get a free bottle + a FREE Magic Eraser? No. This could literally be an unending situation where you have multiple FREE product coupons when you pay for only one product. You can't keep getting more and more items for free on top of the B1G1F coupon. Again - " What am I required by the manufacturer to buy in order to use a B1G1F coupon?" If a Buy One Get One Free coupon counts as a coupon being used on both products you can't keep adding more coupons. This would violate coupon guidelines. Limit 1 coupon per product. Clear as mud right? - but all you have to do is apply the "what am I required to buy" question and the answer should be crystal clear. And, remember, you can still stack a manufacturer coupon and an in-ad store coupon together when allowed by the store as long as only one is a manufacturers coupon. Mix all ingredients together and fill lined muffin cups ¾ full. Sprinkle generously with topping mixture. Bake at 400 degrees for 14-17 minutes until golden brown or until toothpick comes out clean. Let muffins cool and store in an airtight container. Makes 12 muffins. Pre-brown pork ribs on high until almost burned. In a slow cooker combine barbeque sauce, applesauce and apple juice. Add ribs and cook on high for four hours or low for eight hours until meat easily shreds. After ribs are cooked remove from slow cooker. Empty sauce mixture into a medium sauce pan and simmer on medium high for 10 minutes or until sauce thickens. While sauce is reducing, place cooked ribs back in slow cooker and shred. Add thickened sauce to shredded pork, season generously with cracked black pepper and serve warm on rolls. Combine all ingredients and knead until a smooth dough forms. If dough is too sticky add more cinnamon. Roll dough on a cinnamon dusted surface to ¼-inch thickness. Cut dough with cookie cutters and make a hole with a straw for hanging with ribbon. Transfer to a sheet pan to dry for three to four days, turning once every day. For faster drying bake on a lined cookie sheet at 170 degrees for three to four hours. When dry, decorate with fabric or craft paint if desired and hang with ribbon. Store in airtight container for use year after year. Applesauce is certainly an essential “stock up” item in my home. If you love applesauce like I do, try these great recipes and use applesauce in a whole new way! You're in the car headed to dinner and you'd love to get on the waiting list of your favorite restaurant a little bit earlier or you're on vacation and need to find the closest Target because it's 90% off Christmas clearance (true story:-) - but you need one very important piece of information - the phone number! You could always call 411 and pay an exorbitant amount of money for literally 30 seconds of directory service or... you could get the 411 for FREE! One of my "convenience" savings favorites is free 411 calls from my cell phone (or home phone). I have been using this complimentary service for several years now and love the convenience and the savings! Make Google 411 your next saved phone contact and make all your 411 calls for FREE! What Do Expiration Dates Mean? Soon after we moved back to Utah, my husband decided that we should raise chickens. His rationale, as I’m not a lover of the “farm” life, was that it was truly provident living and we could become even more self-sufficient by having as many eggs as we wanted on hand 24/7. Well, I’m a sucker for that kind of smooth frugal talking and so currently we have 13 laying hens running around the yard (and one rooster who somehow snuck in). However, the first time I tried to peel a hard-boiled farm fresh egg it practically shredded in my hands. I couldn’t figure out what was happening until I asked the all-knowing Google. The problem was, my eggs were too fresh and needed to age in the fridge for a week or two. The older the egg, the easier it was to peel. In fact, eggs at the local grocer could be up to 90 days old! Even the USDA says that for best quality, eggs should be used within 3 to 5 weeks of the date you purchase them. 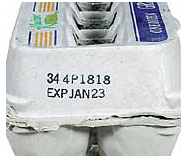 During that time the "sell-by" date will typically expire, but the eggs are perfectly safe to use. That may cause you to squirm in your seat, but did you know that in many countries eggs are never even refrigerated? That leads to an interesting question, what do expiration and product dating codes really mean? Except for baby formula and some baby foods, product dating is not even federally required, says the USDA. And though dating of some foods is required by more than 20 states, there are many areas of the country where a significant portion of the food supply has an open date and other areas where almost no food is dated. So what does all this mean for the consumer? There are 3 types of open dates that the USDA says shoppers should be come familiar with. Sell By Date: is used as a guide for the store to tell them how long it can display a product for sale. Best if Used By (or Before) Date: refers to the best flavor or quality of food. It’s interesting to note, it is not a purchase or safety date. Except for "use-by" dates, product dates don't always refer to home storage and use after purchase. "Use-by" dates usually refer to best quality and are not safety dates. So when can you eat a product and when should it be thrown out after expiration dates run out? According to www.shelflifeadvice.com, food product dates actually encourage food waste! In fact, a survey conducted Shelf Life found that 76% of American adults throw away food after the expiration date had passed because they considered it unsafe to consume, even though the food tested was determined to still be safe. My advice is go straight to the source, call the manufacturer and ask them for the shelf life on products your family consumes. I have called manufacturers many times before throwing an unopened product away and been told that it was still good for several more months! You’ll save your wallet a lot of money and your mind a lot of worry by simply calling the 1 (800) number printed on the packaging when possible. ShelfLifeAdvice also suggests that consumers trust their senses. If a refrigerated product looks, smells, and feels okay (isn’t slimy), it’s probably okay to eat for at least 4-7 days after the expiration date. And remember, regardless of package dating, proper storage and handling are truly the key to extending product shelf life. As deal-a-holics, as one might call us, we often have a sizable reputation for being frugal but dishonest. While this tagline is certainly not applicable to all couponers and deal seekers, it is also certainly true that sometimes the glove fits! I am sometimes amazed at the level of audacity with which shoppers finagle a deal on the gray side of the white line, and sell their integrity for less than $0.25. I love a good deal as well as the next shopper, but applying the "I'll try using this coupon and see if anyone notices or I'll make up my own prices to price match" method are a blight on the coupon community. As I stood in line behind a woman checking out at Walmart this week, I was appalled at the level of dishonesty she used to price match her entire shopping cart. I knew of not one item for which she offered the correct competitors price. In fact, I knew the accurate prices for the products she rattled off and that some were not even on sale at the stores she mentioned. It was evident from her actions, her "fake" shopping list (with no prices noted) and her demeanor that she had completely pulled product sale prices out of thin air - she even gave too high a price on the soda she was buying. I should have said something to her or the checker before she rang out, but in that moment I was flabbergasted. Believe me, I have heard stories of shoppers employing this tactic before, but I had never personally witnessed anything so blatantly wrong. I did inform the cashier after the transaction was complete that she should have asked to see a sale ad for each item matched. She too was surprised that the woman checking out had lied - not only lied, but literally stolen revenue from the store. Purposefully slipping expired coupons past a cashier, attempting to double stack manufacturers coupons, using photocopied coupons or even faking competitor prices is the same as stealing, in my opinion! In the end, no one owes us anything. They don't owe us a great deal because over a year ago we were overcharged on a purchase (I have actually heard this excuse) or we feel we deserve it for any other ridiculous rationale. There are more than enough honest deals to go around that no one need sell their honor for any amount of money. 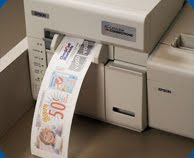 I'm the first one to admit that my heart often skips a beat when I hear the sweet sound of a catalina printing at the end of my transaction - it's just like cash - or is it? #1. Your Store Loyalty card has recorded your purchases for the past several months and recognizes your shopping habits. For example, you buy a lot of diapers, so a catalina coupon will spit out of the machine for a store brand baby product. Clearly, the store knows you have a baby and hopes you'll try their product as well. #3. You buy 4 packs of Huggies diapers and Huggies is running a catalina promotion that every person who buys 4 packs of Huggies (regardless of using a store loyalty card) gets a $4.00 cash coupon good on your next shopping order or OYNSO as I call it. These "cash" catalinas are clearly a favorite of every couponer and deal seeker in America (including me), but....... you're NOT getting a good deal unless you spend the coupon on a good deal!!! Quite often I'll rank a good deal and use the words "= Like FREE after catalina (Or Register Reward or Up Reward) coupon. I say it's like getting the product for cheap or free because I'm calculating the cash value of the catalina coupon into the purchase price. BUT, it's not really free and it's not really cheap. The coupons you get back are more aptly described as a bonus with your buy. The initial purchase price isn't reduce by the catalina coupon, your next purchase is! So, should you then turn around and use a cash catalina coupon ($4.00 off your next shopping order) to buy non-sale items? NEVER!!! To truly take advantage of your "bonus" offer you must use the coupon on already reduced price sale items. Use the first deal to buy a second deal or you're wasting the savings! Truthfully, though I love catalina coupons, sometimes they can make saving money more difficult. Catalina coupons can expire in anywhere from 1 week to 2 weeks, so you're forced to use your coupons on a sale you might not normally participate in, just to use your coupons, or lose out completely on the savings. And, what if you forget to use the coupon before it expires? Think about it - it's like a mail-in rebate. Studies show that the majority of shoppers who think they'll submit for a rebate never actually do. They either forget to submit the rebate or lose the form. Many stores count on that! They know that everyone who is offered a catalina coupon won't necessarily redeem them and that saves the store money. Plus, retailers and grocers want you to spend even more money in their store so they issue coupons that MUST be used only in their stores, thus limiting your savings capabilities even more. Recently Rite Aid started offering their own form of catalina type coupons call Up Rewards, basically a cashback coupon for select purchases in store. Why do this? Why change the way shoppers save money? Why can't a sale be a sale, just like before? Is it for your benefit? I'll let you decide. Whether or not you love catalina/rewards coupons or not, they can either be a great savings or a great savings drain. Make sure if you decide to participate in a catalina or other cash back coupon offer that you use the coupon to buy more deals and never, ever, let them expire or you've just wasted much of the savings you worked hard to get! C'mon - you know I'll still be participating in and using catalina coupon offers - it's in my blood. But, understanding the game and how to play it is half the battle! It was more than the birth of a new savings tool, it was the birth of a revolutionary way of life! 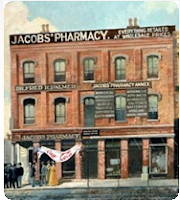 In 1886, John Pemberton, an Atlanta pharmacist who created the recipe for the syrup used to make Coca-Cola, distributed what was to be the first documented coupon – a free drink card to encourage everyday consumers to try the new drink. According to recent research from the Promotion Marketing Association's (PMA) Coupon Council, today, 97 percent of all primary grocery shoppers now use coupons at the supermarket. Charles Brown, co-chairman of the PMA Coupon Council said, "Consumers love coupons — they are a great way to economize, stretch the grocery budget and try new products for less than retail price." Since that first handwritten Coca-Cola coupon in 1886, coupons have been used to save on everything and anything a shopper could possibly need. In 1998, the PMA designated September as National Coupon Month to “raise awareness to the deals and value coupons bring.” So, I guess my only question is, where are the $0.99 greeting cards and discounted presents? I mean, this is something to truly celebrate! I’m moving for National Coupon Month to be designated as a federal holiday – no work, just shopping! Coupon redemption rates are at historically high levels with more and more users changing their grocery shopping behaviors by implementing coupons to stretch their grocery budgets. These consumers saved nearly $2 billion with coupons during the first half of 2010, says PMA, with manufacturers offering an increase of 18 billion more coupons during that time period. 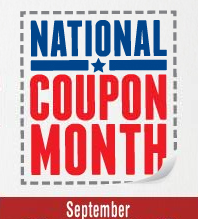 It’s interesting to note that in 2009, shoppers redeemed almost 3.2 billion coupons, the second largest increase in coupon redemption ever recorded, according to www.nationalcouponmonth.com. In light of National Coupon Month, I thought it would be interesting to take a look at the evolution of coupons through history. 1886: Coupons are born! John Pemberton, a pharmacist from Atlanta, creates the recipe for the syrup used to make Coca-Cola and distributes free drink cards to people on the street encouraging them to try the new drink at a specific pharmacy. 1891: Asa Candler, the druggist who bought the formula for Coca-Cola for $2,300, arranges with pharmacies to direct mail account-specific coupons to customers for a free glass at the soda fountain. 1894: Coca-Cola converts their free coupon to the format most typical today — good anywhere the product is sold. 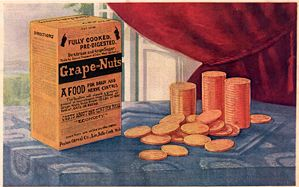 1930s: Coupons become a staple in American households because of the Great Depression. 1965: Half of Americans are now coupon users. 1975: Coupon popularity continues to grow. Over 35 billion coupons are distributed and 65 percent of American households are now coupon clippers. 1999: Online coupons begin to gain popularity. 2008: 89 percent of consumers use coupons while shopping at the grocery store to save money during an economic period of price increases. 2009: $311 billion worth of coupons are distributed across America — the largest single-year distribution quantity ever recorded. Shoppers saved nearly $3.5 billion with coupons. 2010: Consumer packaged-goods coupon distribution and redemption (as of first half) continue to build on record-breaking growth trends of 2009. Consumer purchase behavior points to a permanent shift toward value and saving as the United States recovers from the worst recession since the Great Depression. Using coupons makes cents! More than ever, shoppers need to be frugal in their grocery spending. Adding coupons to your shopping routine can literally shave hundreds of dollars off your monthly grocery bills and that adds up to thousands of dollars a year! Taste Of Home Cooking School - Ticket Giveaway!!! Congratulations Bre & Dawnielle Hilton! You both have won 2 tickets to the Taste Of Home Cooking School! I'll email you with the details of how to pick up your tickets! They're cheaper if you buy them today rather than at the door tomorrow! Hope to see you there! Ok - this week has been a bit frustrating to say the least. About 2 days ago I accidentally threw a folder in the trash on my computer. The folder contained every column I have ever written, phone lists, price lists, previous tax year statements, personal projects. It was "Amy's Folder" - literally the most important folder I had on the whole computer. I had uploaded a ton of photos for this blog actually and was trying to clean up my screen. I accidentally selected the folder in that process. Um... then I emptied the trash (Can you hear me screaming through the computer???). Yah, not a good moment! 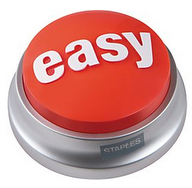 Where's the easy button when you need it? I desperately googled, "I'm an idiot, can someone help me?" ok, really I googled "Help, how do I retrieve deleted trash files" which still means I'm an idiot please help me BTW. I found 2 software programs that were potentially capable of retrieving my data and decided on Stellar Phoenix. It appeared from the free download (yup, I'm a sucker for free) that I could get all my documents back so I decided to buy the full version. But you know me, always on the look out for a deal, so I googled "Stellar Phoenix Coupon Code" and my favorite online coupon code site appeared - www.RetailMeNot. Sure enough there was a 20% off code that save me $20! Yes - at least there's some savings in this drama. Retail Me Not is a great online coupon source for discounts on hundreds if not thousands of online stores nationwide. If you need an online discount on anything from the Disney Store to The Gap, they've likely got a promotional code to save you some money when you checkout. Just search www.retailmenot.com for the store you need a discount to, grab the code and enter it during the online checkout process at your selected retailers website. It's totally free savings with the click of a mouse! But, wait, my story doesn't end there - though I wish it did. I used the software and was only able to retrieve 15 of the 300 documents I lost. While I'm grateful for the 15, I was hoping for more. But, what should I expect - I was the idiot who threw them away. And then the nightmare really began. I stayed up until 2 am last night prepping for my usual Friday Freebies & Deals email and all was well when I left my beloved 8 year old Apple to rest for a few meger hours. But she greeted me this morning with a blown network port which would cost over $500 to repair. And thus, with no coupons in hand, I forked out an obscene amount of $$ to buy a new computer this afternoon, a process which took over 6 hours to complete. So in the end, my life this week was a little savvy and a little not. Valuable lesson learned about the importance of backing up your data though and that certainly will make me Savvier for the future! Thanksgiving Point in Lehi is hosting the Cooking School again Tuesday, September 14th! If you have never been to The Taste Of Home Cooking School you are seriouly missing out!! Join Thanksgiving Point and the Daily Herald for the annual Taste of Home Cooking School. Watch and learn while culinary specialist Kristi Larson shows you helpful tips, great techniques and step-by-step instructions on how to create your favorite dishes. Every attendee receives a goody bag filled with great coupons, samples, and everyone has a chance to win prizes throughout the night, including the dishes being prepared on stage. I have been asked again to Emcee the show. I've been the Emcee for the last 4 years and truly love every minute of the show. I always learn new cooking shortcuts and tricks that save me money and time. Not only that, but everyone who attends will get a FREE goody bag full of great giveaways and have a chance to win awesome door prizes! I also will be giving away a shopping cart full of groceries to whomever guesses closest to the price I actually paid for the groceries - always fun! 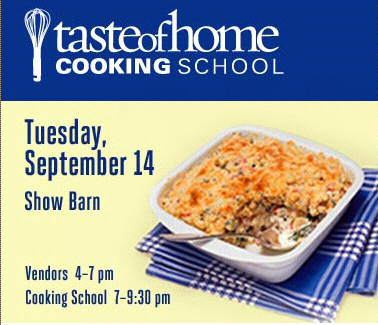 I have been given 2 extra pairs of Taste Of Home Cooking School Tickets to giveaway from Thanksgiving Point! Just leave a comment below as to why you'd like to win tickets to the show and be entered in this giveaway! Using random.org I will pick two winners to receive 2 tickets each on Monday 9/13 at 1pm and will notify the winners by email, as well as on the blog. Leave your email address in the comments like this: asavvylife (at) gmail (dot) com. Costco Frames - Gotta Love em! For those of you who know me, you know I'm borderline OCD - not diagnosed do you hear me! If you follow this blog you'll find I have a lot of OCD moments of organization madness. I actually have an identical twin sister, a clinical psychologist, who says it's a close call. Listen, just because I straighten all the Caprisun juice pouches in my fridge with labels facing forward doesn't make me obsessive, just organized right? Anywho, I am a stickler for exactness and it spills over into everything I do. My recent photo project is clearly an example of my "attention to detail", we'll call it. I needed to arrange the savvy family photos and after measuring the width of the wall, dividing in half to find the center and measuring each frame moving outward for exact spacing, here's what I got: (FYI - my Macgyver husband hates it when I ask him to hang pictures, because I can spot a 1/4 inch difference and then we have to re-hang everything!) I love that it looks as though the pictures were all hung with ribbon - they aren't. I would probably lay awake all night worrying if my treasured frames were about to come crashing to the floor if they were only hung with ribbon (again, not diagnosed), but I wanted that same look. So I decided to fake it and no one can tell the difference! To hang your photo arrangement, determine the width of your wall. Find the exact center and determine desired height of the highest frame + 6 inches for 1st hanger placement. The actual hanging nail will be approximately 7 inches below the hanger. Using (1) approximately 20" ribbon length per top frame (draped over hanger) and (2) 10" ribbon lengths per lower frames, attach ribbon at ends with sticky putty and hang photos frames on nails. 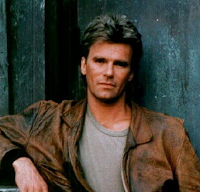 What is dentist recommended, filled with fluoride and a tool of choice for super action hero MacGyver? Toothpaste of course! While MacGyver can kick start rescue attempts by disguising explosives as toothpaste, savvy shoppers can use toothpaste to kick-start household chores with explosive savings! Polish Shoes - I remember as a child, scrubbing my white Sunday shoes with a toothbrush and toothpaste to remove the black scuff marks. It worked like a charm and smelled great as well! Smear a pea size amount of regular non-gel toothpaste onto white shoes or rubber soles. Using a wet, soft bristle toothbrush gently scrub away dirt and scuff marks in a non-circular motion. Defog Goggles – Going swimming? Wipe the inside of your swimming goggles with toothpaste using a soft cloth. Using a clean portion of the cloth, gently re-wipe the goggles and they will stay magically clear underwater! Deodorize Hands - There’s almost nothing I hate more than cutting onions. Fortunately, I don’t have to participate in this activity often. But, when you just can’t avoid dicing, get the strong odors of onions, fish or garlic off your hands with toothpaste. Simply apply a dab of non-gel toothpaste, just as you would hand soap, and wash with warm water. Try scrubbing dirty nails using toothpaste and a toothbrush as well. Apply lotion to moisturize. Ahhhhh, minty fresh! Deodorize Babyware – If you’ve got a sour milk sippy cup or baby bottle that just won’t stop stinking, just clean it with non-gel toothpaste. Using a bottle brush or sponge, apply toothpaste, scrub and rinse the smell away. Headlight Defogger – Using a cotton cloth or buffing pad, apply a mixture of warm water and toothpaste to lackluster headlights. The results? No more bug or dirt residue! Iron Cleaner – If your iron plate has collected souvenir gunk from clothing and craft projects past, use a non-gel toothpaste and cotton cloth to return it to new. Scrub cool iron with a warm wet cloth and toothpaste in a non-circular motion. Rinse with a clean wet cloth and remove all excess toothpaste before using iron. Jewelry Polish – In a pinch, apply a very small dab of non-gel toothpaste onto a soft bristle toothbrush. Scrub gently with a wet toothbrush. Rinse, and lightly scrub with clean toothbrush under warm running water to fully remove any excess paste. Shine Silver/Chrome – Non-gel toothpaste can remove tarnish and restore a beautiful shine to silver and chrome. The mild abrasive added to toothpastes aids in the cleaning process. Apply toothpaste to silver or chrome surfaces, and using an old toothbrush or soft cloth, brush or wipe desired surface area. Rinse to check cleaning progress and re-apply as necessary. Completely dry cleaned pieces before storing. The fine abrasive in the paste polishes the chrome to a spotless shine. Hair Bow Holder – Somewhere between the kitchen floor and the grocery store lays an adorable hair bow – if only it was still in your daughter’s hair! Use this simple trick to keep bows in their place: using a wet comb, divide hair to be pinned. Apply a small amount of toothpaste with a cotton swab to the inside clip of the hair bow. Clip dampened hair and as the toothpaste dries it will keep the bow in place. Use this simple technique to apply non-clip infant hair bows as well. Use a small amount of water to re-dampen hair when removing clip. Clean Shower Doors - The fine abrasive in non-gel toothpaste is the secret to its cleaning power. Use a wet toothbrush and toothpaste to clean hard-to-reach shower door dirt and grime. Toothpaste can truly be a powerful household tool in your pantry arsenal. So pull a MacGyver and take your dental hygiene to a whole new level! I love shopping at Kohl's because you can get AMAZING savings with Kohl's Gold Star Clearance! I recently purchased a pair of Polo Jeans, leather GBX shoes and an Arrow shirt for my hubby's birthday for only $25 after clearance and discounts! Check out this pair of Nike running shoes for 90% off priced at only $6.90. But I actually only paid $4.14 after an extra 20% off clearance, another 20% off because I used my Kohls card, plus I got Kohl's cash back on my purchase! Saving at Kohl's is as easy as 1-2-3! Kohl's card has NO annual fee! Pay your card purchase off at the checkstand or at customer service! Immediately after you get your extra savings and pay for your transaction with your Kohl's card, tell the cashier you'd like to pay off the card. You can pay the card off completely without any finance charges! You can pay with cash, check or debit card. You can also pay off your card at customer service with cash or check = NO DEBT! Wait for Kohl's 80% off clearance! Plus, Kohl's frequently runs an additional 20% off all clearance price promotions. This is the time to run to Kohl's for rock bottom prices! Use your Kohl's charge card on all clearance purchases when additional discounts apply. Remember, you can pay your card off immediately after purchase so you won't have any finance charges or debt accruing! Kohl's runs a Kohl's Cash promotion several times a year. For every $50 you spend, you'll get a coupon worth $10 towards the purchase of any item in the store within as designated date range. (Usually the following week). Kohl's cash can be a great way to save additional money as long as you remember to go back and spend it and spend it wisely. Kohl's cash NOT should be considered free money to spend on regularly priced items - rather another discount on top of the great sale and clearance deals you'll be buying with the cash.